Bosduifklip open air restaurant is situated on a Sandveld farm 4 km outside the West Coast town of Lamberts Bay. Here, along the old winding road surrounded by ancient rock formations and huge concave cliffs, bride and bridegroom, best man and bridesmaid, mums and dads, grannies and kids, neighbors and friends, can linger undisturbed, relax and enjoy one of the most enjoyable and unforgettable weddings. The restaurant is situated over the original blacksmith shop that was built in1870 as well as the stone sheep kraal. The undercover area is used during the colder months of the year and for lunches. Most of the wedding couples have the wedding ceremony in the undercover area. It just has a very special feel to it – standing next to the huge ancient rock saying your wedding vows – very special! 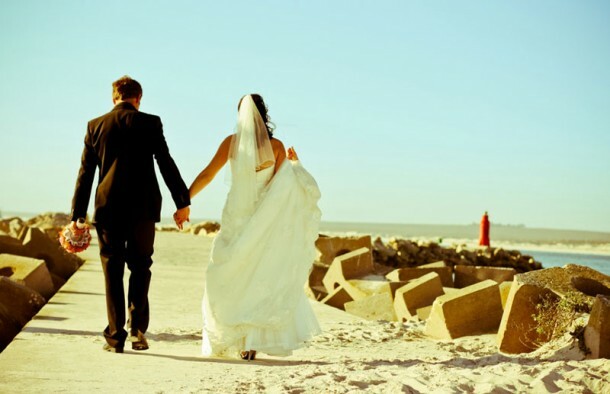 If you want a beach ceremony you can have the ceremony and photos at the beach and the reception at Bosduifklip. Whether you have the ceremony at the beach or at Bosduifklip with the reception at Bosduifklip, you will have the most wonderful West Coast wedding ever! And the food … at Bosduifklip they serve seafood and authentic South African “boerekos” like Musselkebabs, home made pickled fish, waterblommetjie stew to the best Spitbraai lamb you have ever tasted! And then end it all with the softest “souskluitjies” (sweet dumplings in a cinnamon sauce). 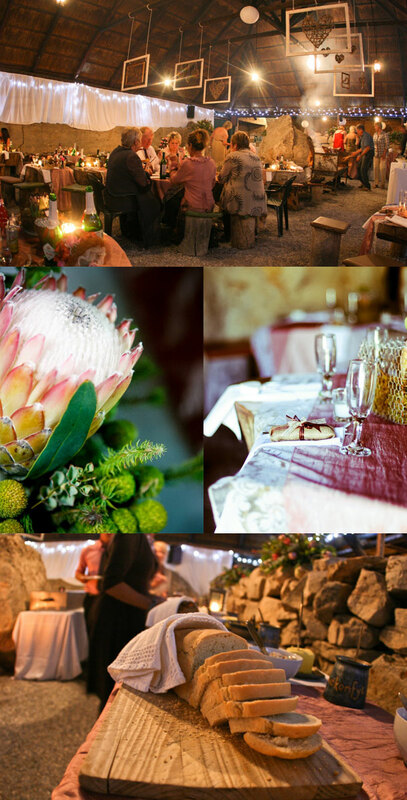 For more information about having your wedding at Bosduifklip, see Bosduifklip Restaurant or contact Aletta Engelbrecht on telephone +27 (0)27 432-2735 or on her mobile +27 (0)84 703-8311.